This is going to be a long post. But I wanted to share it in its entirety, because I think it's really beautiful, and anything I took away from it would diminish it unnecessarily. This is the eulogy my dad wrote for my grandmother, his mom, that he read at her funeral on April 1. If by the end of my life my children love me even a tenth as much as he loved her, I will be the luckiest woman in the world. One thing I always appreciated about my mother was that she told you exactly what she thought. No guesswork required. For several years, because of her age, I had been collecting ideas on what I might say today. I also wanted to get them on paper so she could hear them while she was still able. So two months ago I read Mom an early version of what you’re about to hear. So because Mom thought you have short attention spans, today I’m going to be briefer! You would be quite accurate if you thought of me as the ‘fortunate son.’ I’m the beneficiary of wonderful parents---my father, who taught me the value of hard work, of doing my best, the love of math and science, the duty and rewards of serving in the Navy, and the dignity and respect that every human being deserves to be shown. And my mother, who taught me to love family and friends, to have an opinion (but to not always voice it), to hold myself and other people accountable in a fair-minded way, to respect family rules and social boundaries, and the joys of a keen sense of humor. 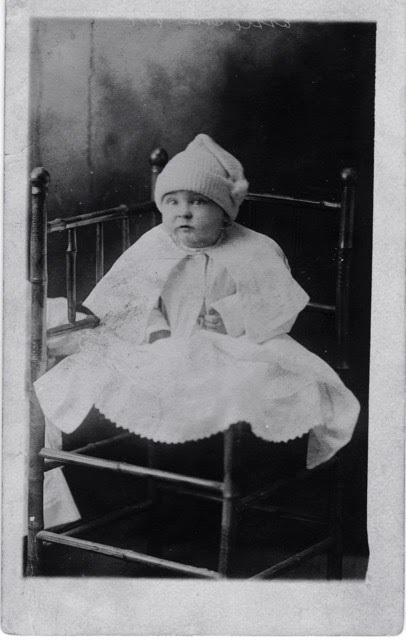 My mother was the youngest of 13 born in a wood-frame house in Wahee Neck, delivered by Dr. E. M. Dibble. (In her home today, she has a porcelain clock that belonged to Dr. Dibble.) The Wahee house, the remains of which still stand, was known as the “Old Home Place.” It had four rooms, was about 12 miles from Marion, and about 2 miles beyond Pitchpot. The family lived off the sandy soil, raising pigs, cows, and chickens and growing corn, cotton, and potatoes. There was a smokehouse in the back yard to cure ham. When you grew up at the Old Home Place, very early in life you became accustomed to hard work. Mom attended 1st and 2nd grades in a one-room schoolhouse in Wahee, taught by Mr. Lamar Thompson. She took pride in never missing a spelling word, acumen she retained for the rest of her life. In the 3rd and 4th grades, she was home schooled by her sister Thelma. She commuted to Marion for the 5th and 6th grades. 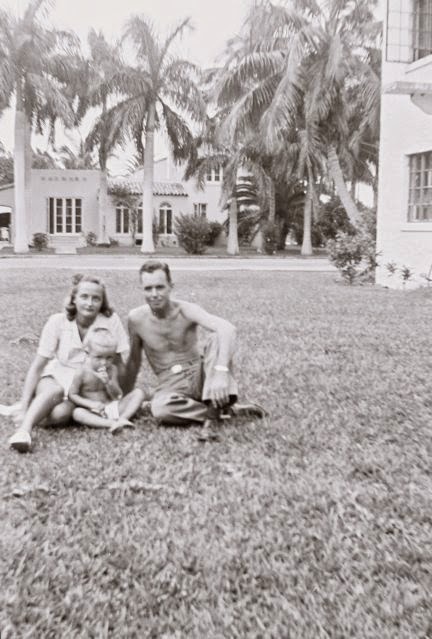 In 1929, three years after her father died and when Mom was age 12, the family moved to Marion where my grandmother opened a boarding house at 107 E. Dozier Street. The house dates from 1804. Across the side alley was the back door of Dr. Dibble’s office, and Byars Motor Company was across the street. Mom attended 7th grade in what is now the Marion County Museum. 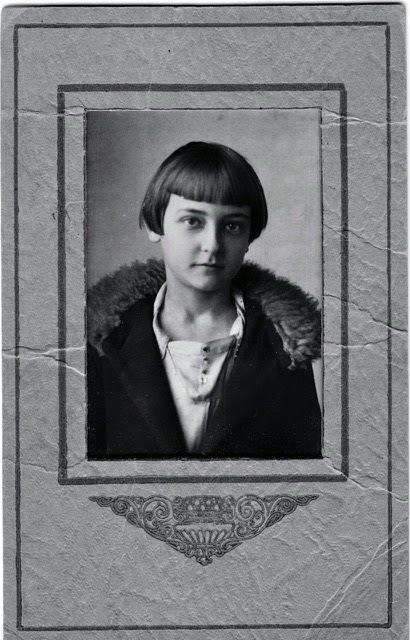 She moved on to Marion High School for grades 8 through 11, graduating in 1934. (12th grade was not added until later in the 1930s.) Mom was a good athlete and took pride in her basketball prowess and being the women’s tennis champ during her high school years. 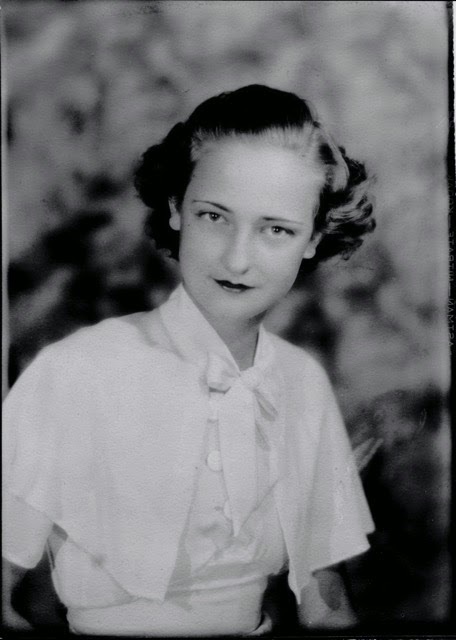 She continued on to Limestone College, where she earned a two-year associates degree in commerce in 1936. 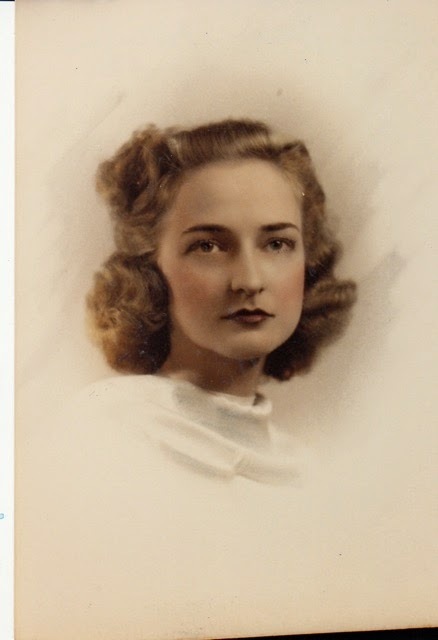 Her sister Essie, who worked at Western Union located in Professional Pharmacy on Main Street, financed her college costs. After graduation, Mom began a 45-year career at Woods & Woods law firm on Main Street. Two years after graduation she had repaid her sister Essie the full cost of her college education, $500. Meanwhile, the man who was to become my father graduated from Clemson College in 1932. Times were hard, and he had switched his major from chemistry to agricultural education to improve his chances of getting a job. He thought teachers would always be in demand. So by age 5, I was beginning to get a handle on my mother’s approach to life! · What would you think of moving to Columbia, SC, where your father has a job offer with the State Board of Education? · Would you rather go to Clemson College, instead of to the University of South Carolina where you’ve been awarded a Navy scholarship? Questions like these imparted in me a sense of responsibility, and a feeling that my opinion was valued within the family. 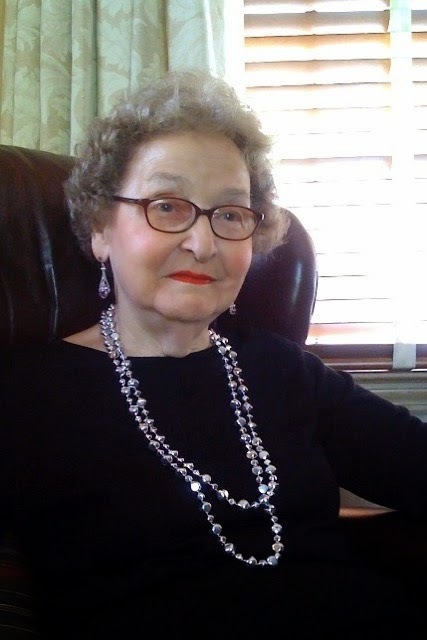 My mother adored her 2 granddaughters and 4 great-grandchildren to whom she was known as “GG.” She looked forward to each visit and each photo or video that arrived. She was especially delighted when little Amelia arrived, talking about whom she looks like and how pretty she is. Last November, following Mom’s fall and fractured vertebrae, she received short videos of each great-grandchild wishing her well and telling her they loved her. This gave her a big lift when she really needed it. 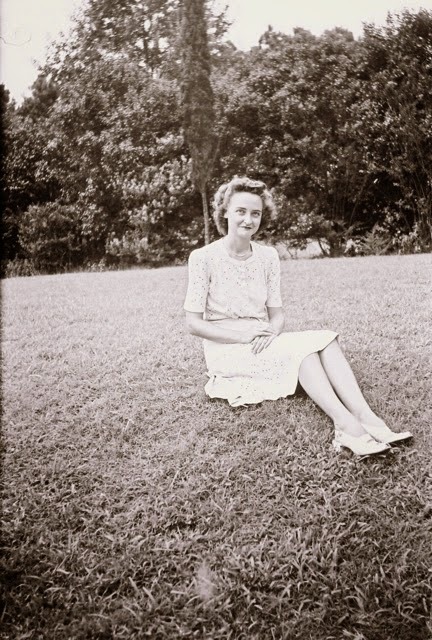 Mom was fiercely loyal to her friends. 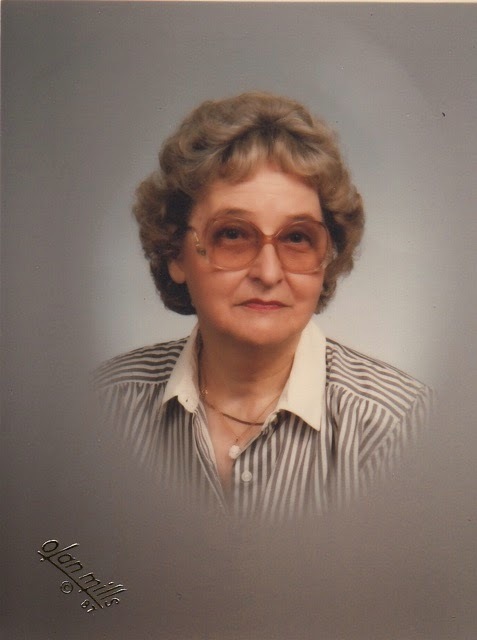 She had several generations of friends. As one generation passed away, she would make new friends in the next. She would sometimes say, “All my friends are gone.” I would reply, “What about so and so and so and so.” She would say, “Oh, I guess you’re right!” Many of her friends have preceded her into heaven, but many others are here today. She loved you all. 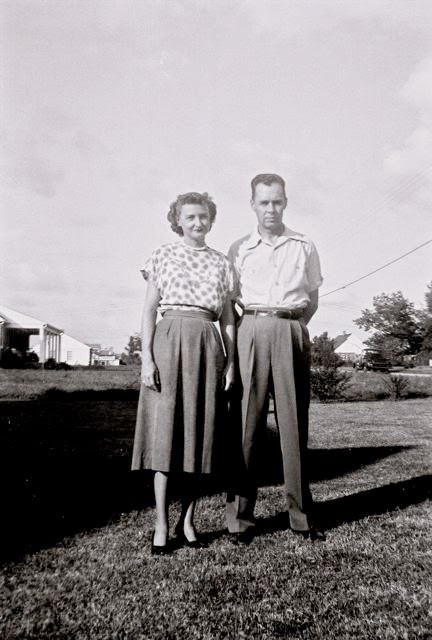 After my father died in 1978, Mom became close to family friend and widower Jack Bryan. 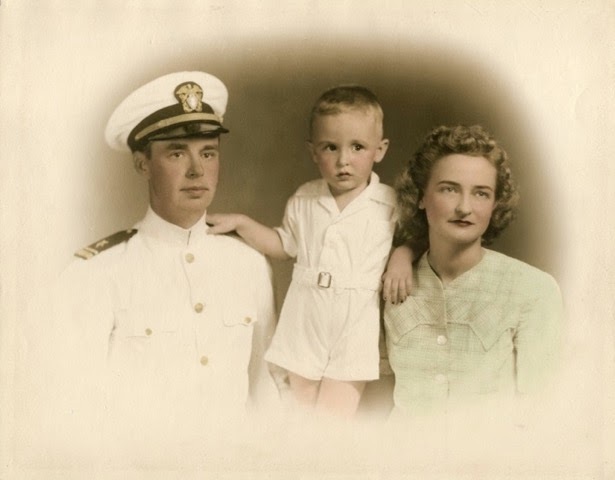 For about 8 years, until his death, Mom and Jack enjoyed eating out and making short field trips to hunt for antiques. Mom had an expression she used to describe a special trait in certain people. She would say with great meaning, “She’s a smart (pronounced: “smarrrt”) girl.” The term “smarrrt ” carried a very full meaning. It referred not only to intellectual gifts but also to the ability to jump on a task, to respond quickly and with imagination, to get things done, to be productive and reliable. She reserved this descriptor for few people, but when she used it I knew I could count on that person to be first rate. Her admiration of such people was also a lesson for me to try to be a “smart” boy. Mom loved her church and the Lem Weinsett Sunday School class. Each person in the class was special to her and she to them. She would usually sit beside Lavore Bryant, and they would make comments to each other about people who walked past the door, thinking (incorrectly) that no one in the class could hear them. It was a dark day when she was no longer physically able to attend the class. Mom always cherished flowers and felt herself expert in arranging flowers. She would go to Judy’s Flower Shop, order a flower arrangement, and then sit there and tell Judy how to place every single stem! Mom was proud of her yard, covered with azaleas. Each spring, one of our annual discussion topics was, “How were the azaleas this year?” She adored the Azalea Garden Club and its members, each of whom became a special friend. Mom’s first airplane trip was with a group of friends going to London, England, guided by Tommy Lett. She didn’t care for the aviation experience but she loved London, especially the antique shops. I’m certain she’s still remembered in those shops because she was totally fluent at bargain hunting and negotiating prices. She also loved the “arts” and had eclectic tastes. Among her favorite movies were Gone With the Wind, Pretty Woman, and Dirty Dancing. TV shows she loved included Lawrence Welk (especially the Lennon sisters), The Waltons, Jeopardy, Animal Planet, American Idol, and Dancing With the Stars. • Mom: Do you watch “Idol”? • Sarah Ellen: No. Do you have a favorite? • Mom: No. This season is unremarkable. None of them are as good as Bon Jovi. • Sarah Ellen: Jon Bon Jovi? • Mom: Oh, yes! I just love watching that little man sing. • Sarah Ellen: When have you seen Bon Jovi sing? • Mom: I’ve seen him on the television. • Sarah Ellen: Wow. I didn’t know you liked Bon Jovi. • Mom: Oh, yes. I love him. He’s my hero! • Mom: Do you watch any soap operas? • Sarah Ellen: No. Do you? • Sarah Ellen: I watched “The Young and the Restless” in high school during the summer. Are Victor and Jack still on it? • Mom: Oh, yes! Jack’s father is appearing to him from beyond the grave. Advising him on business and family affairs. Mom loved both South Carolina and Clemson, but was conflicted when they competed against each other. Thanks to Walter Davis, her prized sports possession was a photograph of USC football coach Steve Spurrier, autographed with a personal message to Mom. In 2010, South Carolina was playing in the deciding game of the NCAA baseball championship. I went to bed about 11 pm when USC was behind and it looked hopeless. My mother stayed with it. About midnight, she calls up to our bedroom, “They tied it up! They tied it up!” “OK, Mom.” About 1 a.m., “Freddy, they won! They won! !” So I came down to watch the replays and post-game interviews. I never saw her so excited! I’ll always treasure my mother’s sense of humor, and she loved people who had wit. One of her favorites was Lavore Bryant. 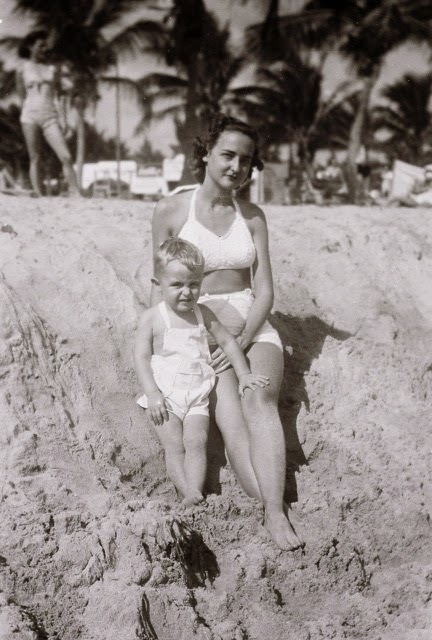 Like Mom, Lavore was direct and candid, and Mom found him the perfect foil. I would watch them exchange affectionate verbal jabs until one or the other would surrender. Most evenings, one would telephone the other to start all over again. Lavore referred to Mom as “The Queen” and gave her a chair pillow inscribed to that effect. A few years ago, Mom asked me to pick up some medicine at Bridger’s Pharmacy. She said when you enter, ask for “Rite-Aid.” I asked who Rite-Aid was. She said, “That’s Merit Allen, my pharmacist, but I call him Rite-Aid because he used to work there!” So, when I go in Bridger’s and ask for “Rite-Aid,” Merit always has this knowing look on his face. In November, after Mom came home from the hospital with the broken vertebrae, Pastor Henry Altman came by to visit. Mom was in bed and Henry handed her a gift wrapped in a plastic bag. She looked it over, felt its contours, and said,” Henry, did you bring me a drink of likker? !” It turned out to be two chocolate candy bars. In closing, I want to thank Mom’s caregivers during the latter stages of her life. 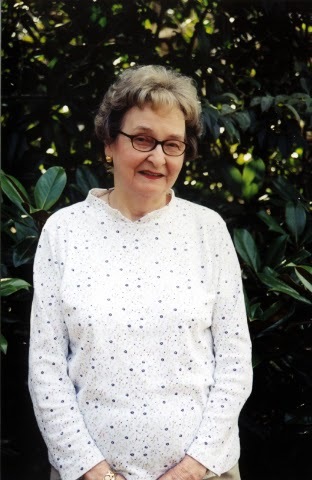 Ann Turbeville worked for Mom for many years, and for the last 3 years has slept in Mom’s bedroom taking care of her every need. She has become a member of our family, and Mom thought of her as a daughter. More recently we have come to know and love Beulah (Bea) Johnson and Brenda Moody, who have shared caregiver duties with Ann. Each is competent and gentle, also strong Christians who met Mom’s needs and gave her encouragement and affection. 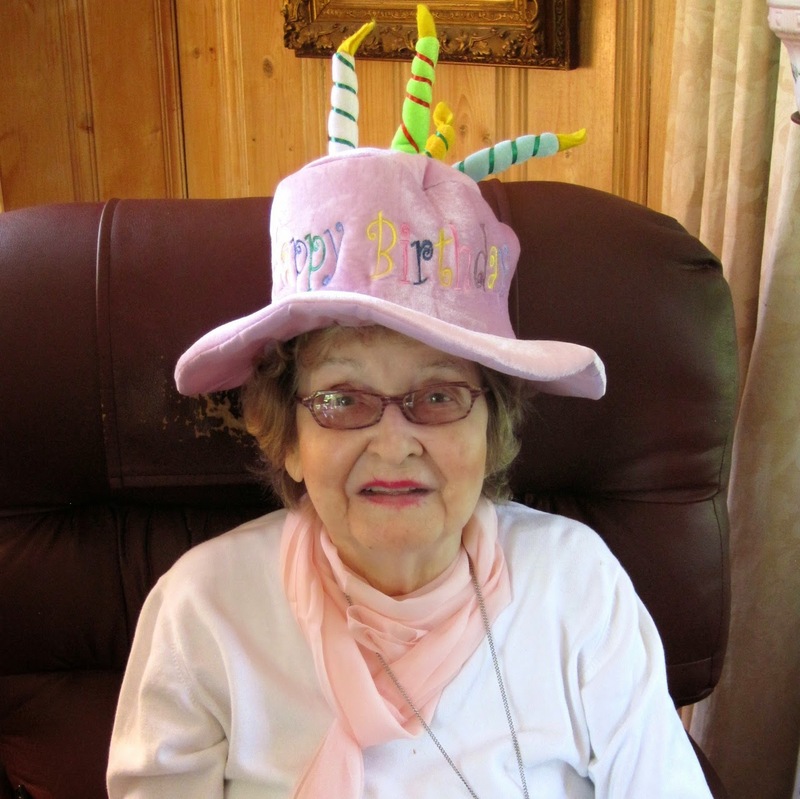 Another important person in Mom’s life was Earline Davis, who recently passed away. She cooked for Mom from 1985 until last year. Earline was perhaps the most positive person I know. She always saw the sunny side even when her own health was failing. Before Earlene was Dora whom Mom considered a “smarrrt” lady. Also, Calvin Charles who has cared for Mom’s gardening needs for 30 years. Calvin considers the yard as much his as Mom’s. And a special thank you to Mom’s niece Ellen Davis and husband Walter, who have been my local eyes, ears, and hands over many years, attending Mom in good times and when she most needed help, and alerting me in times of crisis. 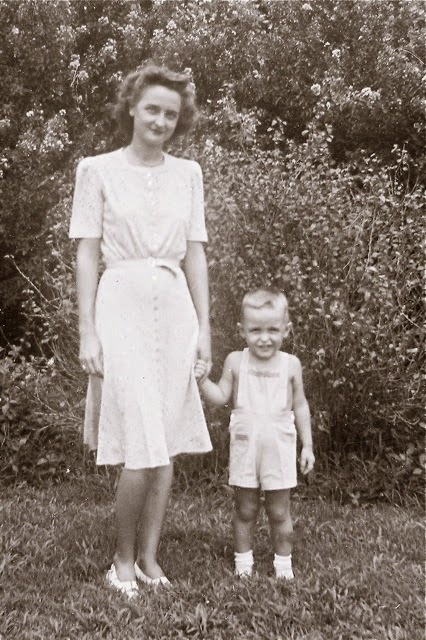 Cousin Bette Davis Smith has also been a source of strength and assistance to Mom, including cooking Mom a T-bone steak now and again. And certainly not least, many other relatives and friends visited (often from long distances) and brought food and gifts to support Mom’s advanced years and her spirit. She (and we) appreciated every kind thought, each gift, every item of food, and every special wish. You helped sustain us through difficult times, and your kindnesses are so appreciated. So we are gathered here today to celebrate the life of a woman I have spent a lifetime trying to please, but who has given me far more than I could ever give in return. She was a wonderful wife, mother, and friend who will live in my heart and (our hearts) forever. She was my mother, don’t you see.